The Good Studio gallery is a family-run gallery owned by Melissa and Scott Thoroughgood. The gallery is in an airy and inviting space in one of Riverton’s beautiful historic buildings, first built in 1938. 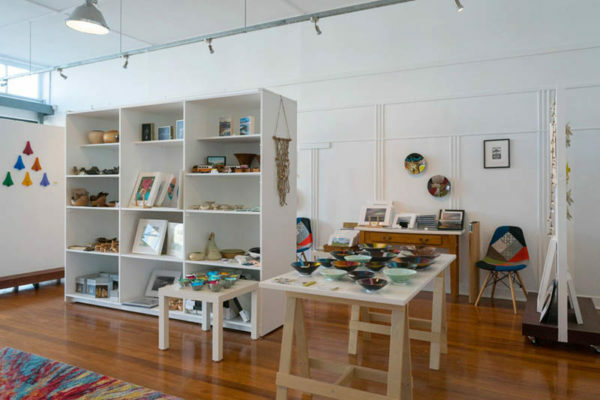 Our focus is on New Zealand art and clever design from artists and creators all over the country. 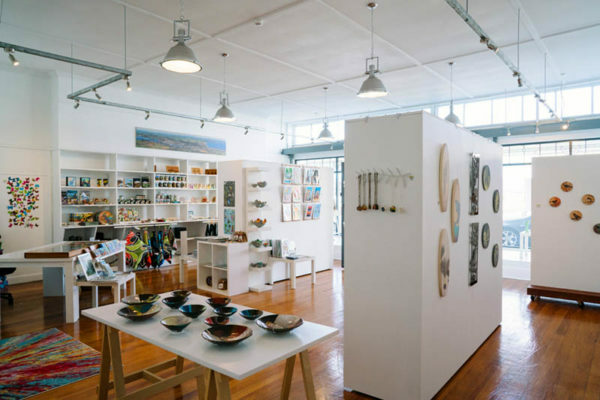 We stock an ever-expanding range of New Zealand art-prints, original art, jewellery, ceramics, glass, photography, homewares and gifts. The whole family is involved with the gallery, including 5 year-old Nina. Having grown up surrounded by art she has developed a love of painting and is often found in the workshop creating large, vibrant abstract canvases. A range of cards and prints of her work is for sale in the gallery. We don’t have an e-commerce site however you can email an enquiry or phone Melissa 021 0250 3432 to arrange purchase for any item you see on the website or our Facebook page. You can pay by bank deposit or phone to pay by Mastercard or Visa. Do you ship throughout New Zealand? Yes, we are happy to courier anywhere in New Zealand. For Spring and summer we are open Saturdays and Sundays 11am – 3pm. Current opening hours are on our website and Facebook. Do you open for groups? Yes! We love visits from art-groups and societies and are happy to open after hours for anyone by appointment. If you have a special event you would like to host at The Good Studio, just get in touch.